Hurtling tuk-tuks, clanging prayer wheels, tooting horns and the wafts of lime, chili peppers, and soy all combine to create the heady haze that is downtown Bangkok. Meanwhile, away from the bazaars, there are slick skyscrapers topped with elegant cocktail bars with panoramic views and infinity pools. Then come leafy parks and the meanders of the Chao Phraya River. 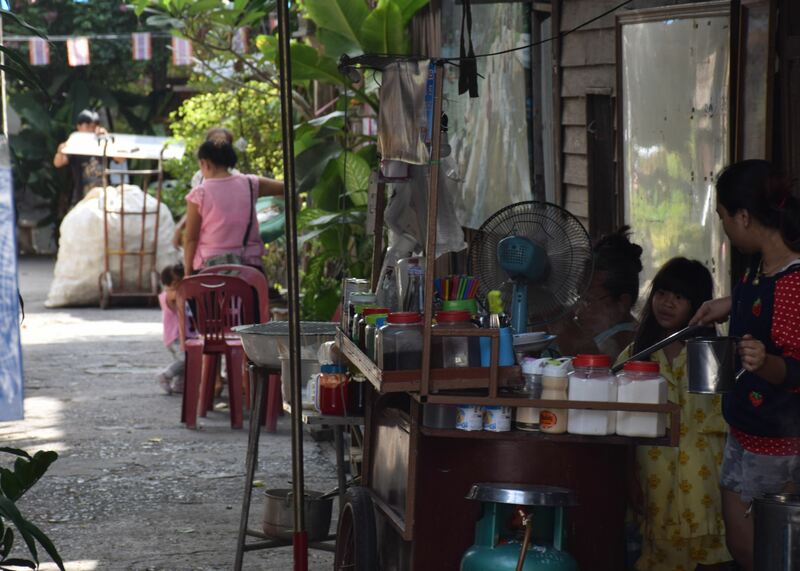 It all adds up to an urban patchwork that entices thousands of Bangkok English teachers every year to such a bucket-list megalopolis. But which area will be your favorite? 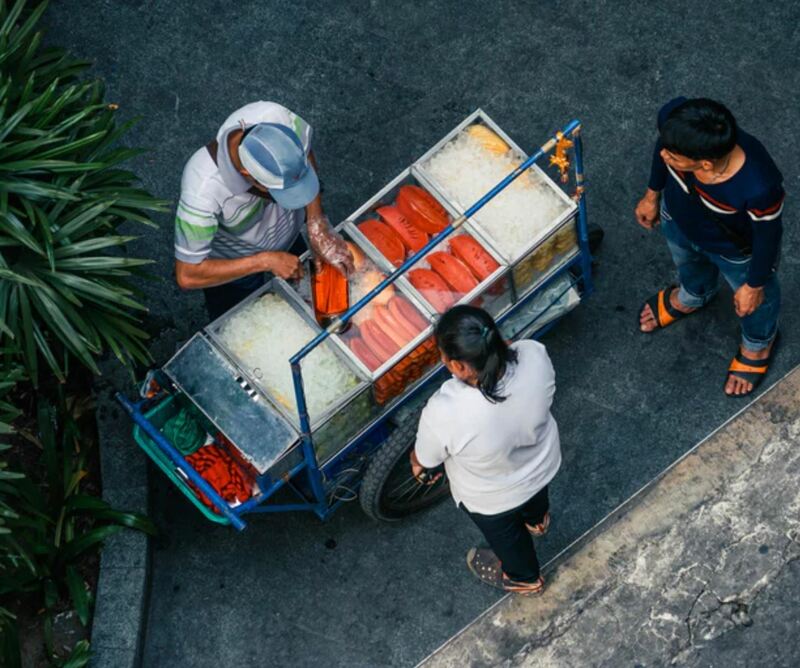 This is the Bangkok everybody knows – the Bangkok of The Beach and the Banana Pancake Trail. Butting up to the Chao Phraya River, it’s an area that fizzes with life 24/7. Winding roads that brim with souvenir touts and knock-off fashion hawkers start things swinging. Then, you pass through the food bazaars, where steam twists and turns over sizzling woks, issuing the pungent aromas of prawns and peanut into the sky. Then come the neon lights and rowdy bars of Khaosan Road. It’s long been hailed as one of the world’s most hedonistic strips, with massage parlors converging on Chang-doused Irish bars and DJ-spinning dance halls. Although it’s just a few blocks away from the bars and markets of Banglamphu, Rattanakosin is an altogether different place. Cross the lizard-speckled canals into its old heart and you’ll soon find yourself gawping up at gold-plated stupas and temple spires writhed in incense smoke. 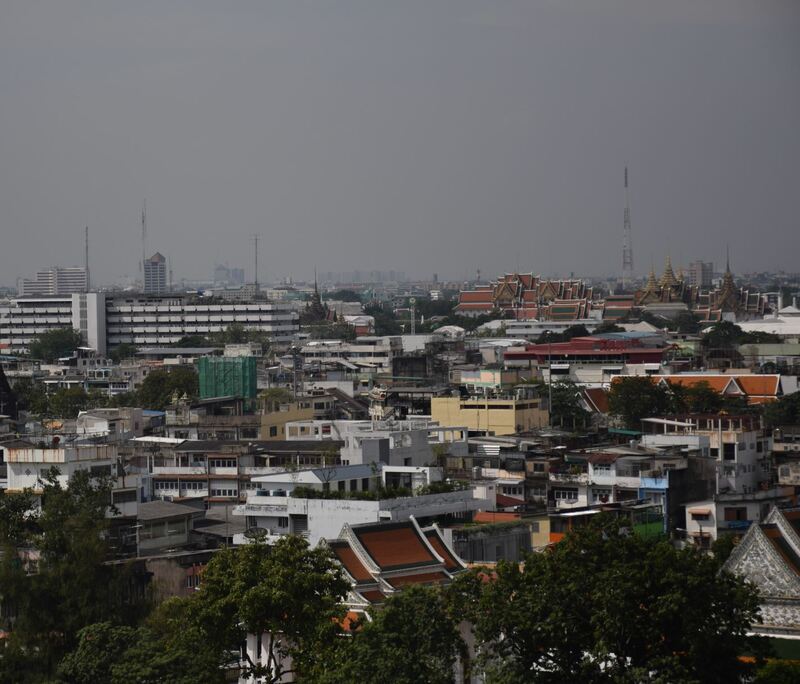 This is the historic and cultural epicenter of the Thai capital. And it’s the revered home of the Thai king. 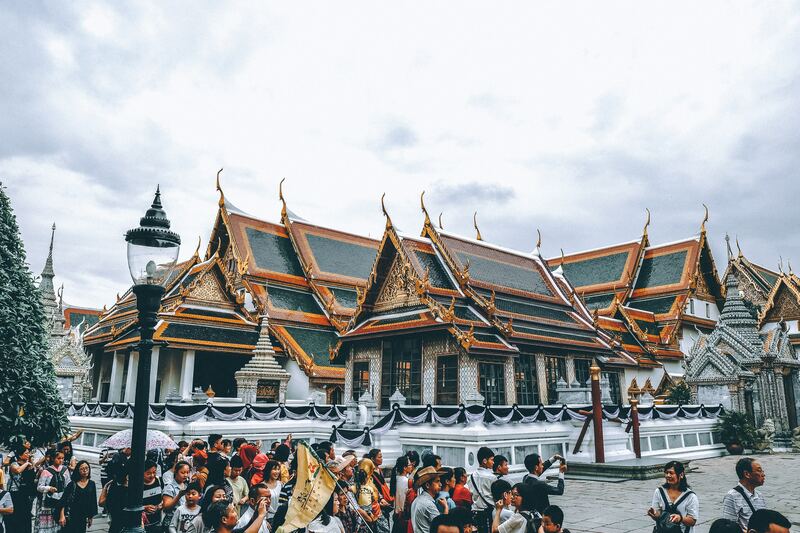 That’s where the Grand Palace comes in, hosting oodles of landmarks that include the Wat Phra Kaew and its holy Emerald Buddha, and Wat Pho, with its reclining effigies. Put simply, Rattanakosin is a must-visit for all Bangkok English teachers. Smell the five spice, watch the red lanterns dangle and delve into sprawling marketplaces in Yaowarat. 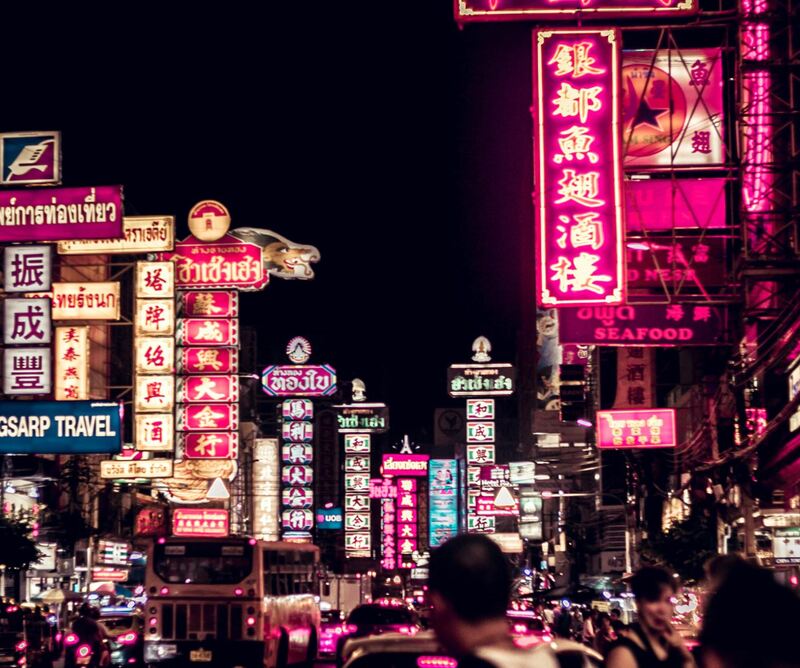 This is Bangkok’s Chinatown, where dim sum and tech sellers replace the Thai noodle shops and Chang touts. To really get a flavor for the unique sort of energy that pulses through the blocks, navigate to Soi Wanit 1 and dodge the stacks of bags and hats and umbrellas on offer there. At night, it’s all about sampling the food. Culinary tours can herald of peppery Asian broths and bird’s nest soup to name just two popular dishes. When it comes to markets, Wang Lang is surely up there with the best in the whole of Bangkok. The surest way to arrive is on a water taxi, which purr up and down the river before pulling into Prannok Pier. The area is roughly delineated by Wat Rakhang to the south and a large hospital to the north, which makes it strikingly small. Though there’s loads wedged inside, from plumbing warehouses to make up emporiums, tailoring workshops to garages brimming with vintage threads. Wang Lang’s street food is also refreshingly honest, which might be why so many Bangkok English teachers head here to enjoy pad Thais and sticky rice cooked by local chefs after work. 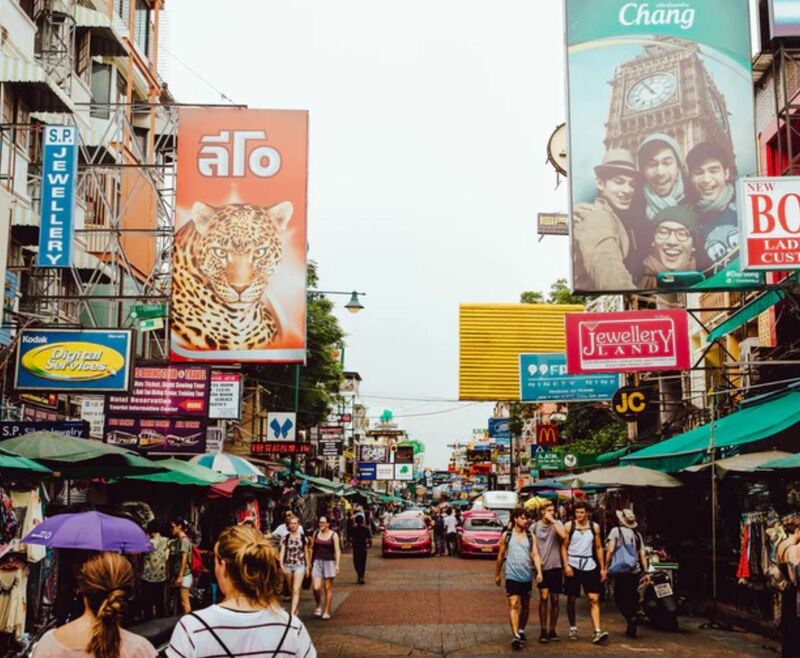 The district of Sukhumvit straddles the Bangkok end of what’s often hailed as the longest road in the Land of Smiles (follow it and you’ll eventually come to Trat on the Cambodian border!). In the capital, however, it’s known for its commercial vibrancy and wealth. The blocks are peppered with exclusive spas and gyms. Overhead is dominated by soaring apartments and city-view restaurants. Between it all, you can seek out traces of old Bangkok at the Kamthieng House Museum, which still sits on teak pillars and has timber-framed architecture. Bangkok at it’s chicest and most happening awaits in Bang Rak. Taking front-row seats before the sprawls of Banglamphu and Chinatown, the skyscrapers here rise on the south-eastern edge of town. They cast their gaze over the temples and rooftops in grand style, offering plenty of swish apartments with infinity pools and high-perched drinking bars for those uber-cool sundowners. The area that clings to the side of the Sirat Expressway is the anchor of it all. It’s host to all sorts of chichi drinkeries and international gastronomy, from rustic Tuscan trattorias to Parisian souffle houses – not what you might expect of Southeast Asia. Bangkok English teachers reading this with something to add? We’d love to hear your thoughts in the comments below! Or, if you’re determined to make the Land of Smiles your next TEFL escape, be sure to check out our online courses or onsite Thailand internship.